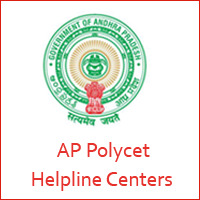 AP POLYCET HelpLine Centers List 2019 is available. So, the candidates who have qualified in the AP Polytechnic Common Entrance Test can check the below Counselling Centers List. We have also provided the Category/Rank wise HelpLine Centers List for the Common Entrance Test for Polytechnic (CEEP) 2019. We have given the complete information of the AP Polytechnic Entrance Exam Counselling Centers List. Every year State Board of Technical Education & Training will conduct the AP POLYCET 2019 Exam. A huge number of aspirants all over the Andhra Pradesh have applied for the AP CEEP Exam and complete their examination successfully. A few days ago the SBTET Announced the Polytechnic Entrance Exam Results. So, the candidates who have qualified in the exam are now searching for the APPOLYCET HelpLine Centers List. For those candidates, we have provided information about the Andhra Pradesh Polytechnic Common Entrance Exam. You can also check AP CEEP Counselling Centers List 2019 here. So, the interested candidates willing to appear for the AP CEEP Counselling process can check the below details. These AP POLYCET HelpLine Centers are important because you have to attend the Counselling at that place. You must check the APPOLYCET HelpLine Centers given below in advance, so you need not hurry at the time of Counselling. You know that the first part of the Polytechnic Entrance Exam Counselling process is Certificate Verification. So, the officials of SBTET will verify the certificates. Now you will have a query about the APPOLYCET Counselling Centres. For the sake of those aspirants, we have provided the Polytechnic Common Entrance Test helpLine Centers List. Without the certificate verification process, you are not eligible for the web options entry (Web Counselling). So, the interested candidates have to attend the Counselling Centers. Aspirants have to appear for the APCEEP Counselling at the particular place allocated to them. We have provided here the Rank/Category wise AP POLYCET Counselling Centers List 2019. The AP POLYCET HelpLine Centers for the general and reserved category students are different. So, the students who want to study their professional courses and qualified for the exam can appear for the Counselling Center for the certificate verification. i have passed polycet enterness exam and iwant my counsilling date and area please help me any body. Sir, I am venkatesh.my polycet hall ticket no 1101345. I score the marks 31..I am PH student..pH percentage is 60..but I forget applied the pH certificate.. I have registered for polycet exam and i got my hall ticket from atmakur,kurnool district.But l noticed my centre is in nellore district.It is difficult to travel such a far distance .so please help me sir. My child was appeared 10th class for the year 2017-18 at Kothagudem, Bhadradri Kothagudem District,Telangana State. He applied TS Polyset and hall ticket also came. He is also Preparing AP Polycet, but AP Polycet online application was not taken, we are tried all net centers and mee seva centres, but application was not uploading. Now, I request you to please give the solution and contact nos or help line numbers for approaching them. But my studies are Andhra Pradesh. sir, I have got polycet Rank 2015 and I have got 10/10 GPA in SSC Exams.I have also applied for IIIT.If have got IIIT seat after joining in any polytechnic, is the polytechnic college administration isue transfer certificate, enable me to join in IIIT college.Pl. help me sir. My sister didn’t receive polycet login id. So, please provide login id no.